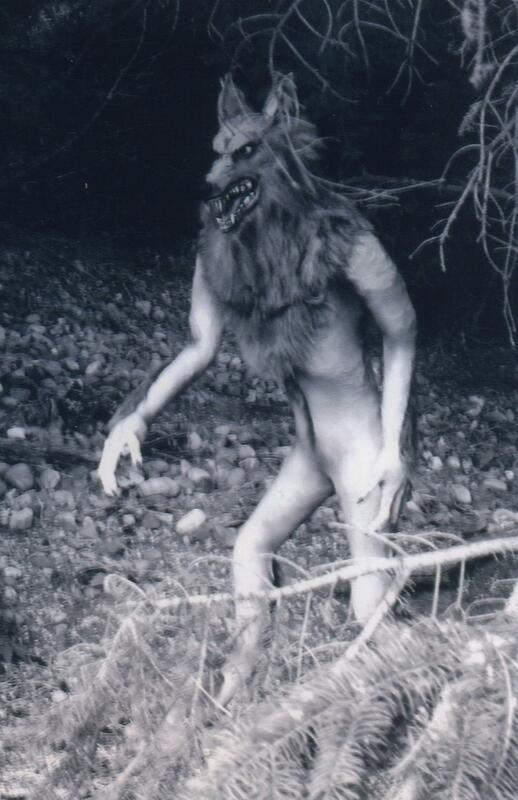 And the second is surely a Manwolf, although a bit nekkid. Kudos to the Wentz’s! And then there is this painting by California eyewitness Anthony S. Chaney. 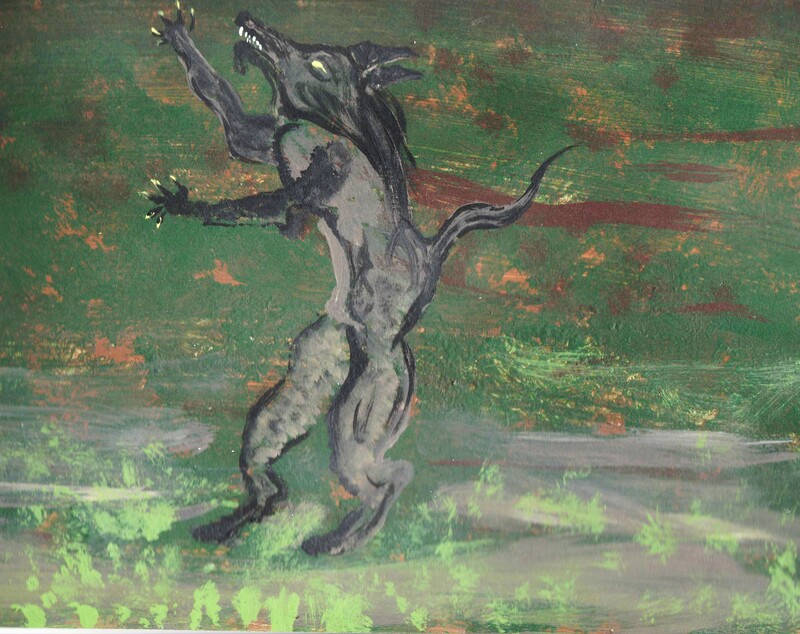 It includes a lot more background than I reproduced here, and is a great rendition of the dogman described by many other witnesses. I also receive many notes from writers, musicians and film makers that my research has inspired them to create something werewolfish. I applaud all original efforts and say go for it! 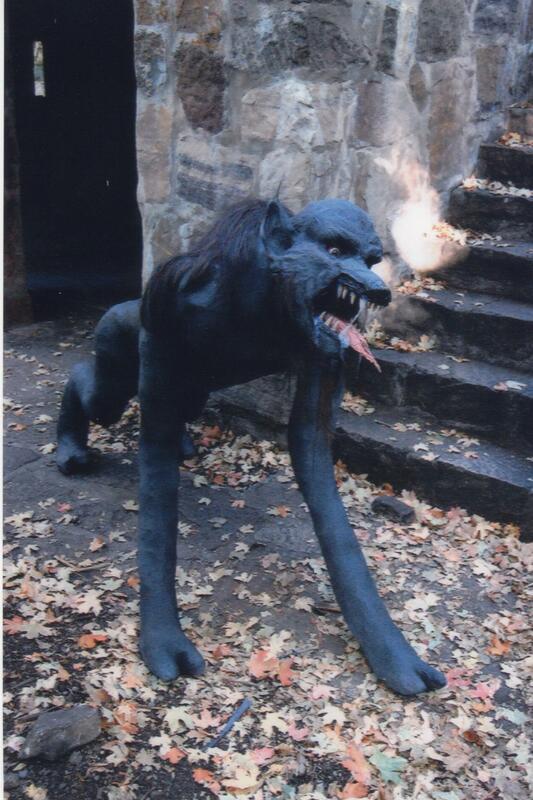 After all, there is no more perfect metaphor for the tortured soul of an artist than the transformative loup-garou!